Office trends in 2019 workplace design will shift focus onto innovative and creative uses of space. Designs concentrate on employee and customer happiness, as well as show an increasing interest in creating green offices. 2019 will see offices focus their designs more on creating a pleasant environment for the people that work within it, rather than focusing on the business itself. Here is our list of top trends to follow in 2019. The basis of this trend is much more than just furnishing your space with antiques or old furniture. 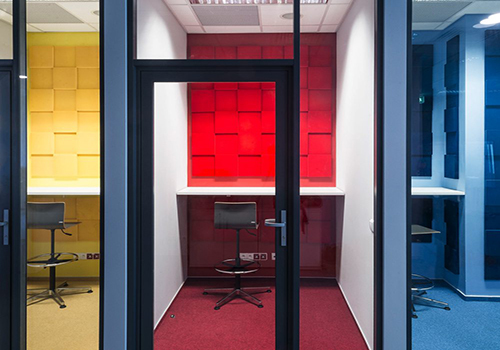 Instead, this trend focuses on reworking old spaces by injecting in new life, transforming them into modern offices. In terms of interior design, this means preserving as much of the existing original craftsmanship as possible. 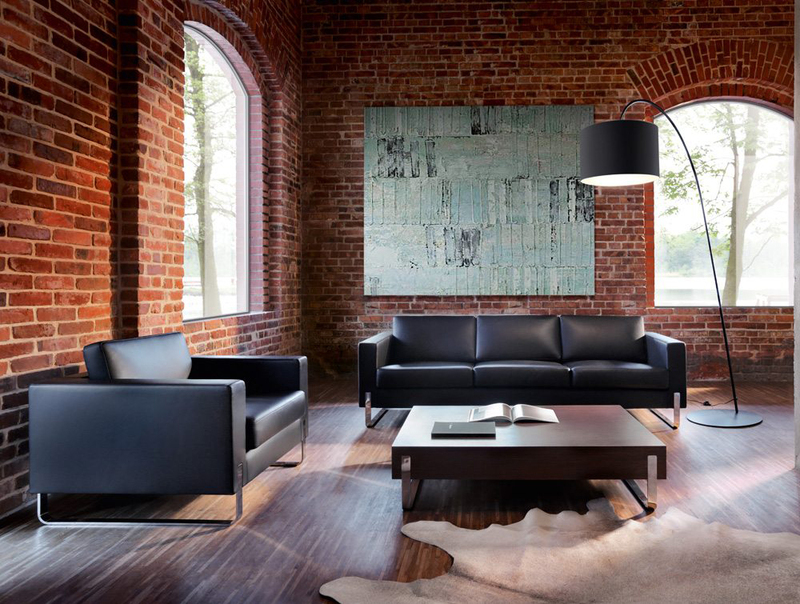 For example, bringing things like steel beams or old brick walls back to life. These “old meets new” buildings often balance the ageless features of its building structure with modern furniture and decor. By revamping old and abandoned spaces, like warehouses and industrial estates, we get a space that fits cutting edge technology with a sturdy and worn industrial aesthetic. This trend creates a design that moves your space into the future, while also effortlessly linking it back to its past. Drab and dull walls of beige, grey and white are out of fashion as we see bright pops of colour and abstract geometric shapes take their place. Bright pops of colour and geometric patterns are taking over walls in canteens, meeting rooms, receptions and offices. Livening up boring office spaces and injecting a unique sense of personality into an office setting. This design approach has grown in popularity due to companies want to reflect their brand and values through the design of their offices, and this can now be seen through the colours and patterns chosen. 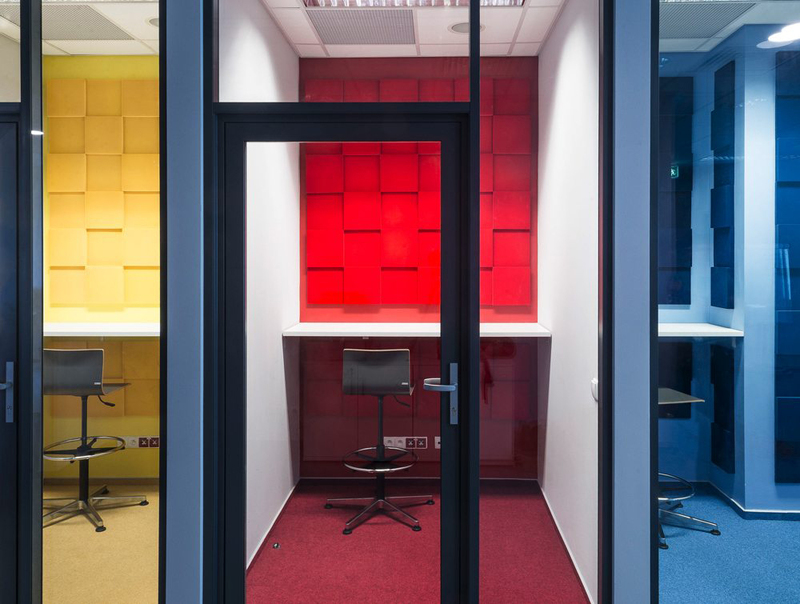 On top of that, the use of bright colours has been proven to improve employees moods and increases creativity and motivation within your workforce. 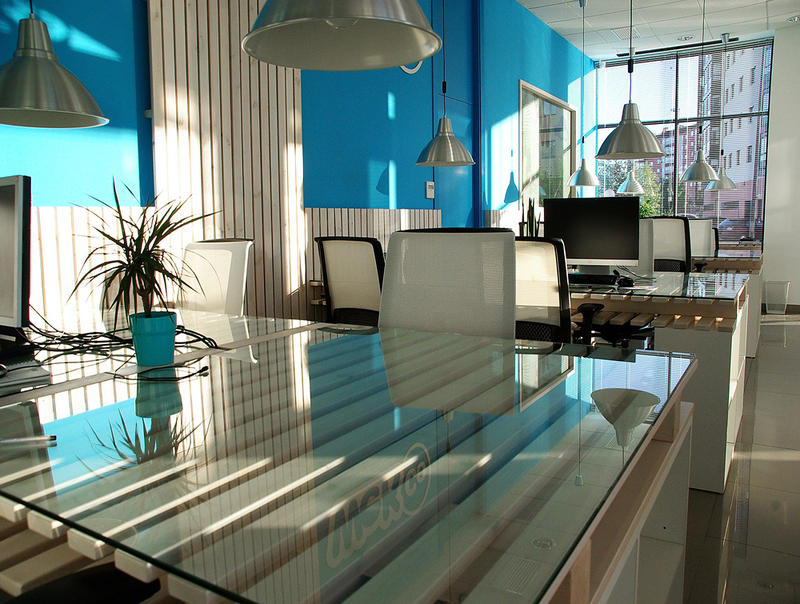 Making both employees and clients happier within your workspace. Green Walls and nature being brought into design grew in popularity last year and will only go from strength to strength in 2019 as well. However not every company has the budget or type of property fit for a green wall. 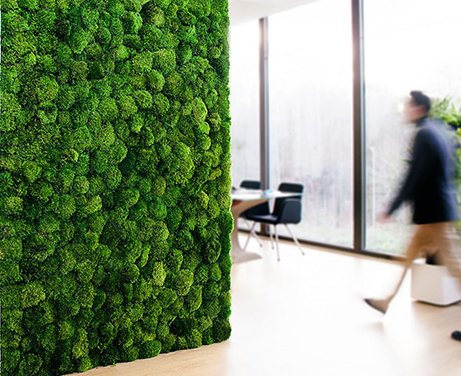 Moss walls are the perfect way to cash in on the green trend as they can survive in areas with very little or zero natural light, are easy to maintain and far cheaper than their plant based alternative. This highly versatile design feature is a popular choice for unique brand signage, event spaces and small or large accent walls and is a fun and unique way to inject the ever growing trend of bringing nature indoors into your workspace. 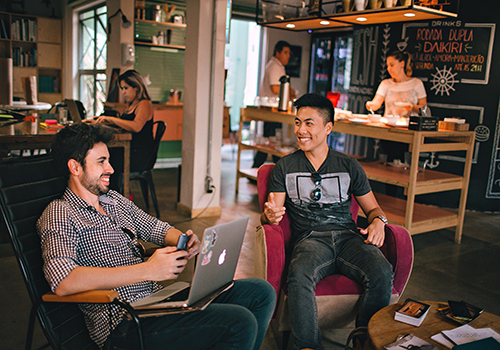 Coworking continues to be a gamechanger in terms of workplace design and the real estate world as it gives companies the option to acquire a space without committing to long term leases and substantial budget investment. The core features of this design is to maximise collaboration, creativity, flexibility and promoting innovative ideas. Companies like wework or Iconic Offices are moving their focus from startups and are designing spaces specifically to suit enterprise clients. Landlords have started reworking spaces to suit short terms spaces and expand the amenities available for those working within them. Essentially, cohabitation spaces are the sharing-economy in its most realized form and these curated communities offer the benefits of work flexibility to employees in terms of how, when and where they work.